If you are looking for the PaperHaus blog hop click here or scroll down two posts. t's time to start showcasing the September goodies from My Time Made Easy! Do you remember Mary Jane candies? That's the direction I went with the brand new Apothecary Jar template. 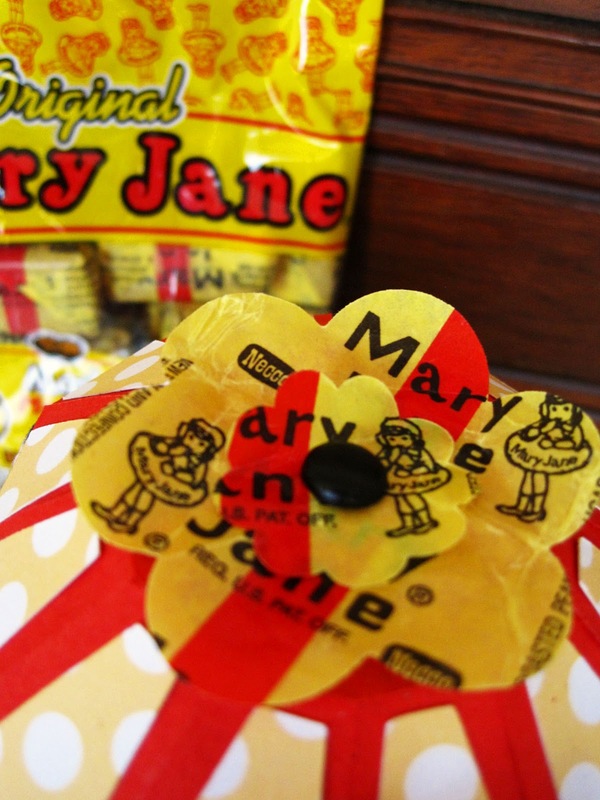 When I was a kid they had quit making Mary Janes and were making Bit O' Honeys. But I love them no matter what they're called! 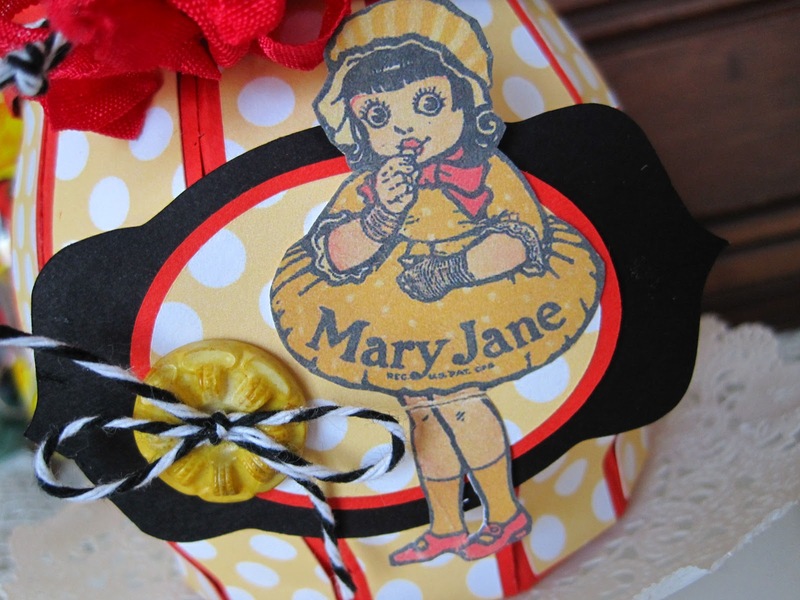 I topped off the Apothecary Jar with a flower made from Mary Jane wrappers. What a cutie Lori, We don't have Mary Jane sweets here...just Mary Jane Shoes! Love that image. And I'm not familiar at all with Mary Jane in general but she's real cute and I love your fun project with her Lori! 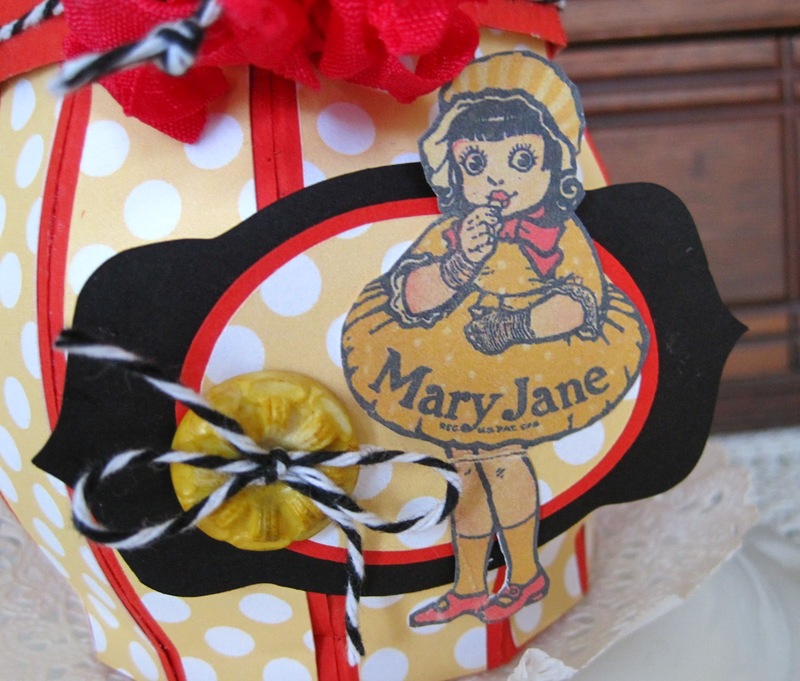 Mary Janes! Haven't had those in a long time. (I think the only place we could get them before online shopping was Cracker Barrel?) The jar is really cute. How fun! 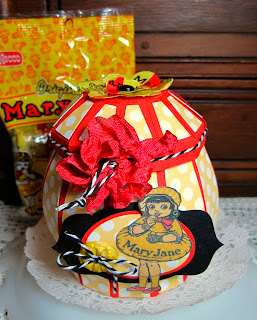 the Mary Jane colors are perfect for this sweet jar! Unreal what you can make paper succumb to. I'm in awe. You're like the Houdini of paper! This is FANTASTIC!